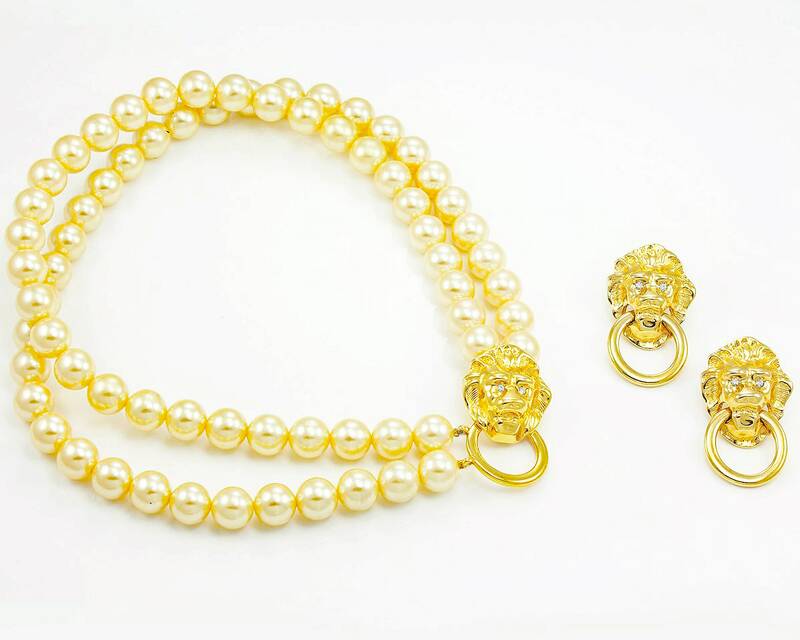 Vintage Kenneth Jay Lane Lion Doorknocker Faux Pearl Earrings and Necklace. 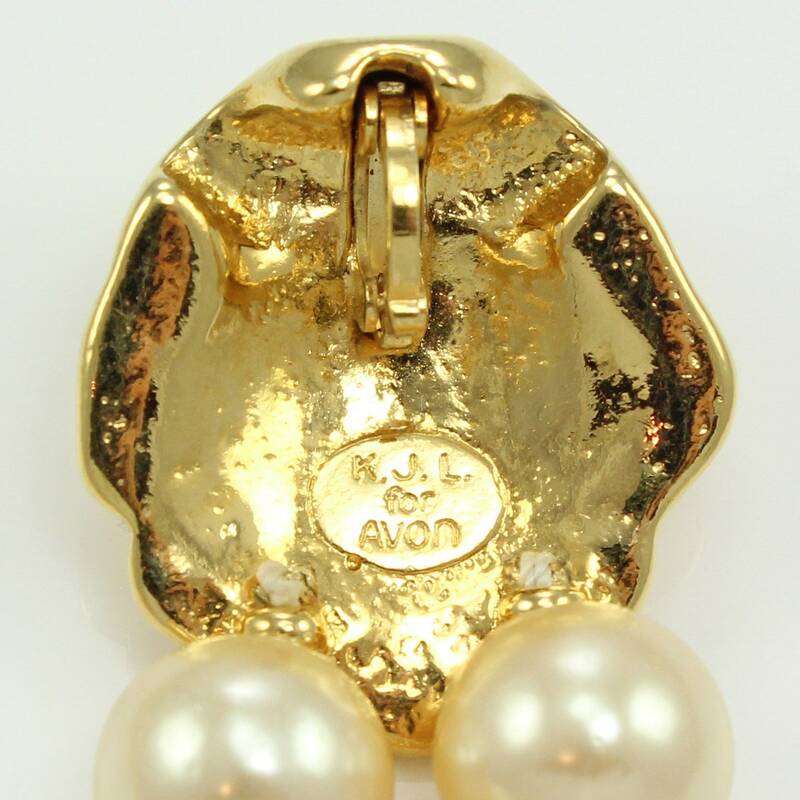 Lane designed this set for Avon in 1986 and they are featured in his book "Faking It". 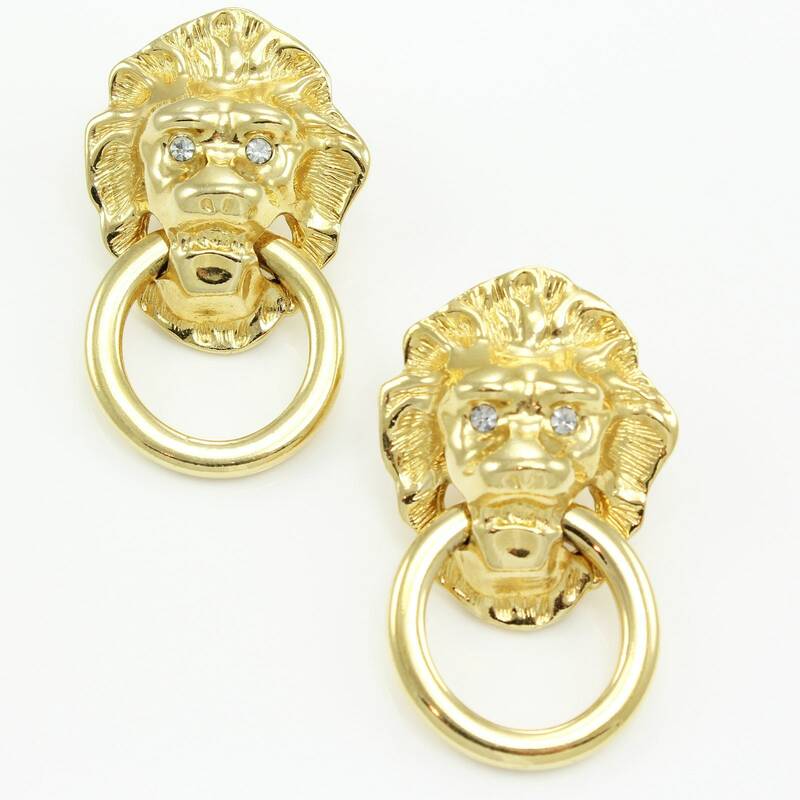 A double strand collar of imitation pearls is finished with a gold tone lion that grabs a ring its mouth. 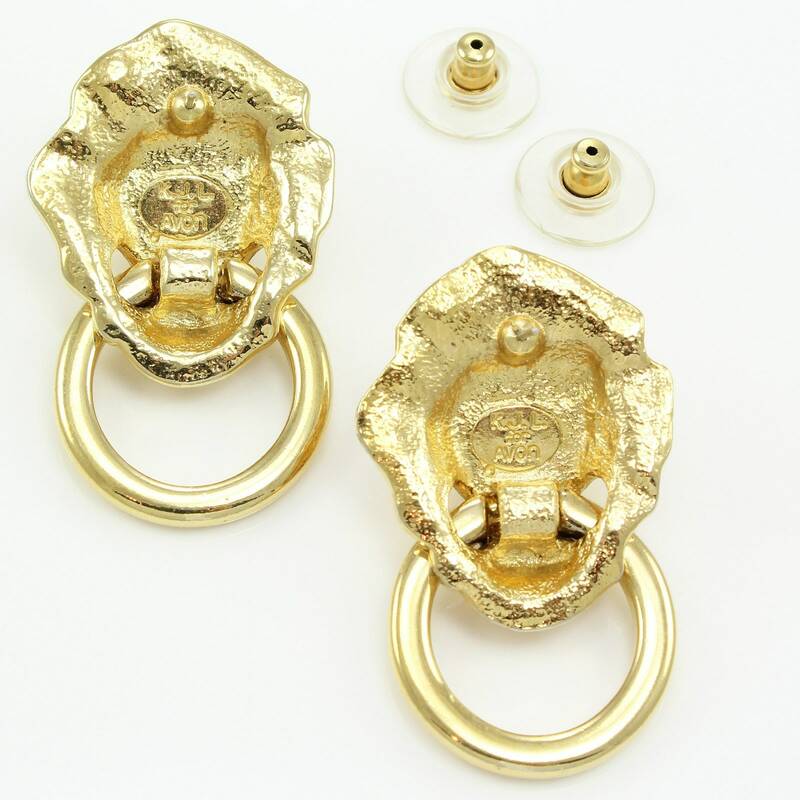 The necklace is accented by matching doorknocker earrings. Distinctly 1980s, yet very wearable today. MEASUREMENTS: Necklace measures 17" long by 1" wide. Earrings measure 1.8" long by 1" wide.